When you are buying or selling a home, naturally, your most important concern is getting the best price. As a seller, you may have lived in your home for years. You have contributed towards the mortgage each month. You have maintained your home. And now, it is only right that you should reap the rewards of your efforts. As a buyer, you want to ensure you are paying fair value for a home. How then, do you get fair market value for your home? In this article we will explain, specific house, present condition and 30 to 90 days, the three factors that influence market value. In this article, we refer to market value, as it applies to single-family homes only. Evaluation methods are different for condominiums and commercial properties. Initially, the market value of the book was $18.95. However, when new titles arrive on the shelf, or the subject of the book is no longer popular, the market value could drop to $9.95. "Market value is the price at which a particular house, in its current condition, will sell within 30 to 90 days." An appraisal, conducted by a certified appraiser, is a professional opinion of a property's market value, based on recent sales of comparable properties, location, square footage, construction quality, floor plan, shopping, schools, transportation, etc. On average, this type of evaluation costs $300 - $500. Lenders require an appraisal as part of the mortgage application process. 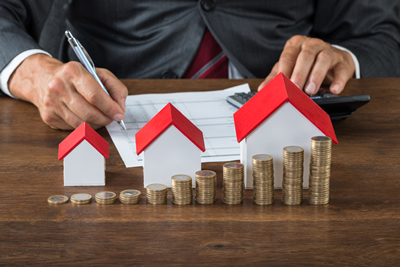 A comparative market evaluation (CMA), performed by a Real Estate Professional is a free, informal estimate of market value, based on sales of comparable properties. Market value is limited to your specific house. The location and neighbourhood of your particular home is the starting point for this determination. The exact same house in another city, or another neighbourhood across town, does not matter for your determination. For example, a house in St. Albert could be worth $375,000. But if the exact same home was located in Edmonton, it may only be valued at $300,000. Home prices also fluctuate significantly from city to city and from neighbourhood to neighbourhood. Therefore, when considering the market value of your home, it must be compared to similar homes in the same or adjoning neighbourhoods. The second factor in determining market value is the condition of your home. Is it in "showing" condition? Does it need some improvements? The condition of your home determines the number of buyers who may want to view and purchase the property. This relates to the time your home will remain on the market before it sells. Most home buyers want a reasonably priced home, in good condition. They may look less favourably on a home that requires major work. In most markets, a home will sell within 30 to 90 days. If it does not, the price is probably too high. Even homes that are "perfect" will not sell in this time, if the price is too high. On the opposite end: if a house sells within a short period, perhaps the asking price was too low or it could be a hot market. When there are housing shortages or fear of rising prices, many homes are purchased within a matter of days of the listing.